The last Thursday in May?? Say it isn't so. This year seems to be zooming by so fast. We had a fairly relaxing Memorial Day weekend. Mark has already started preparing for the football reffing season which seems to be just around the corner. He was gone part of the day on Saturday so I jumped headlong into a project I have been wanting to do for awhile--painting some of the furniture in my sewing room and then the never-ending task of organizing. I will share pictures soon--a few things I still want to do. Have you discovered Libs Elliott yet? She may be my new favorite quilt designer. Seriously. Check her out here. Anyway, the other day she posted a picture on Instagram with the hashtag of "hidden reality." It was a really beautiful picture but she said the room was kind of a mess beyond the range of the camera lens. 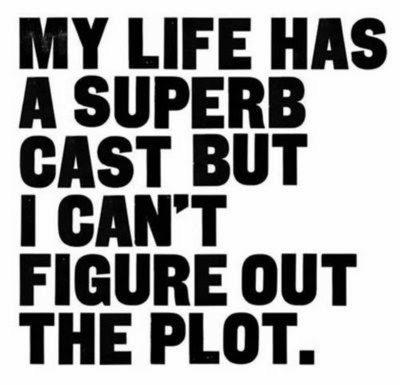 Can you relate to that? I sure can! One of Mark's friends from work discovered this at a flea market. Since he is in the process of rebranding his fused glass business as "Double Diamond Glass," she correctly decided he definitely needed to own this. So she bought it for him! For some reason, when he sent me this picture, I thought it was small, like on a bottle or something. 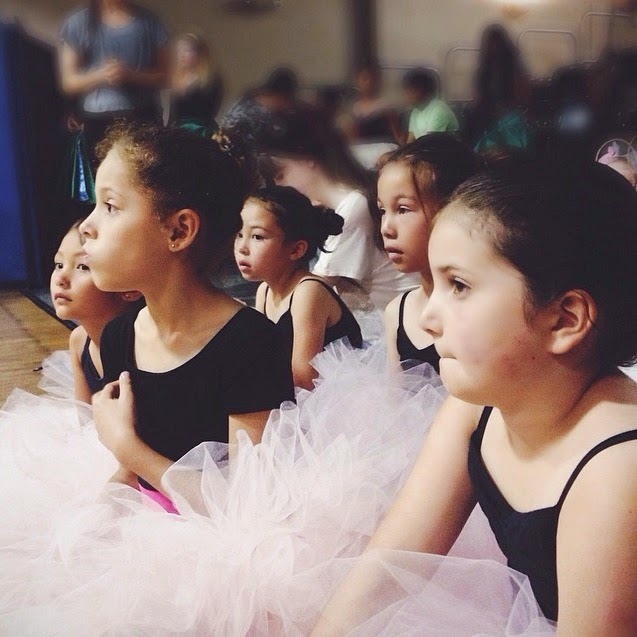 It is hard to find anything cuter than little ballerinas in black leotards and a sea of pink tulle. Japan has the prettiest stamps. And now for the "random quotes" portion of this post. I have quite a few really great ones this week. These two come from LeeAnna from "Not Afraid of Color." Thanks, LeeAnna, for letting me use these. Kim Klassen offers amazing classes in photoshop. 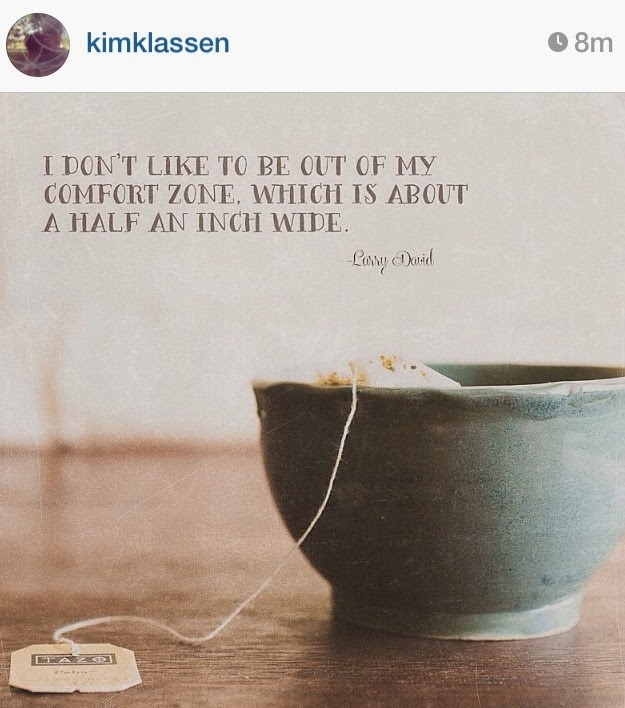 I totally relate to this quote she posted on Instagram the other day. I used to have this taped to the side of my computer. My husband works with glass too! We both chuckled at the sell my craft supplies saying...LOL! Have a good day! That sign is awesome! What a cool find. Love those stamps from Japan too. I see it, I see it! What a great perfect find for Mark! Berries are my best friends these days. It is where I am hanging out! hilarious!! Thanks for a laugh on a rainy day, after several rainy days. Yes, I can see why you like Libs! Great style with solids. I love inspirational and funny quotes. 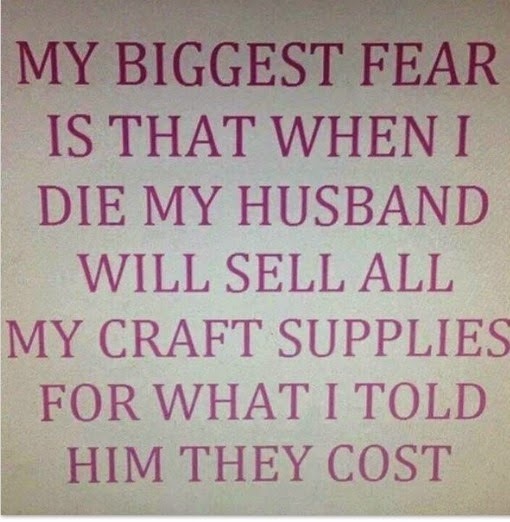 The one about the husband selling the craft supplies made me laugh. Ah Cindy those signs ALWAYS make me laugh. I've never even told my husband the value of my quilting fabrics. I'm afraid to know myself. I gotta just keep using it up. I love your quotes! Thanks for the party, greetings from Paris! Well, thank you for thinking of me. 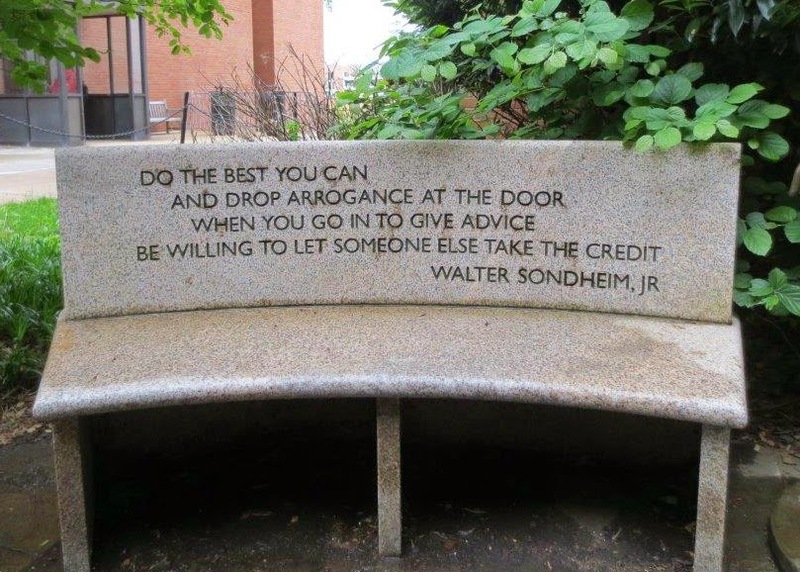 I may steal that quote and put it at the top of my next semester's syllabus. . . which will be seven months from now (woohoo!). 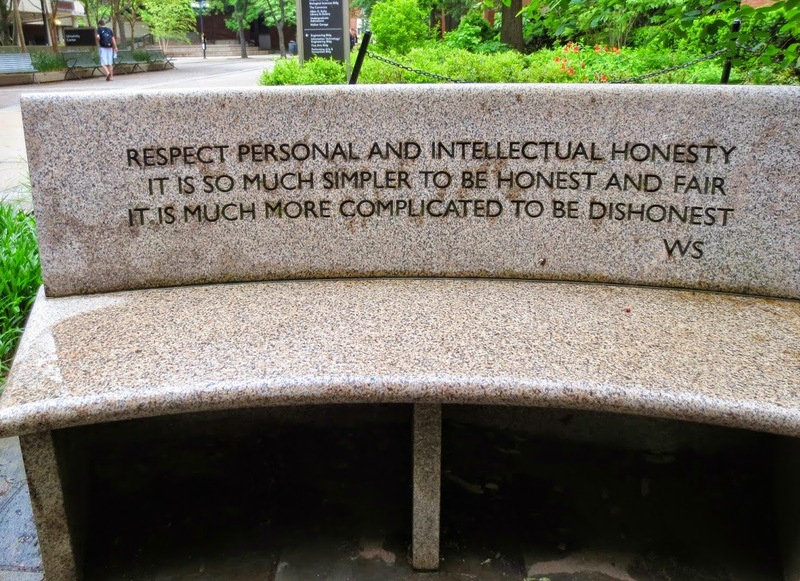 I loved all the quotes--or aphorisms, as my Dad used to call them. 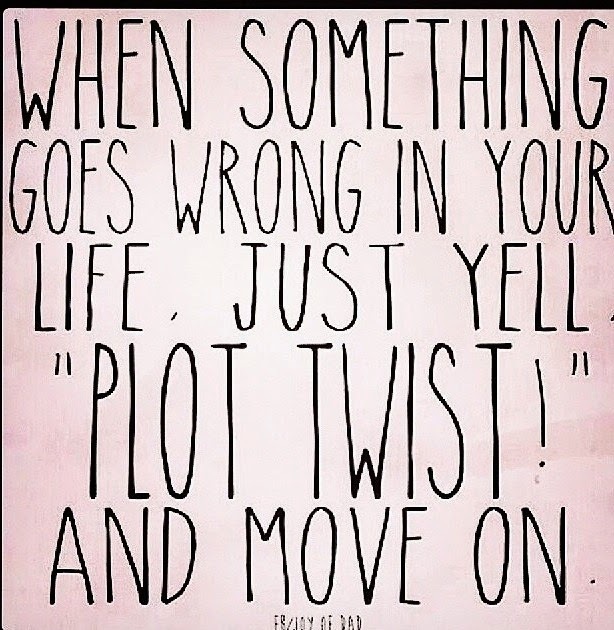 Plot Twist--I think I'll be shouting that every day from now on! Fun to see Mark's glass shop--and that beautiful ballerina. I need to clean out my sewing room, too. I think you'll win because you've already started on it!